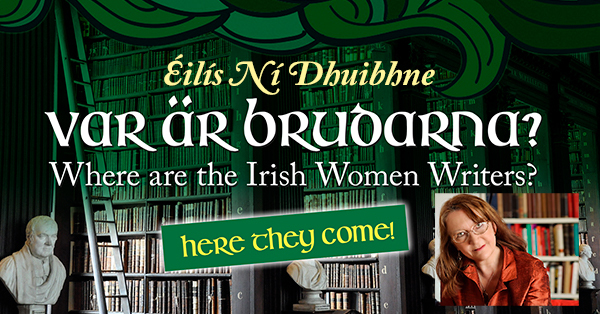 Celebrate St Patrick’s Day (a little late) and Women’s History Month with Irish author Éilís Ní Dhuibhne! Éilís will read from her latest book, Selected Stories, and from The Long Gaze Back, an anthology of short stories by Irish women which has just been selected for the One City, One Book event in Dublin. She will also talk about her experience of being a woman writer in Ireland. FREE – sign up at the bookshop today to reserve a seat. Limited number of seats. Refreshments and snacks. In co-operation with Embassy of Ireland and Uppsala University, Celtic Section at the English Department.